Which States are Submitting Hemp Regulations to the USDA? The Farm Bill of 2018 made national headlines by legalizing industrial hemp last December, essentially opening the gateway for hemp farmers to enter the CBD market. With a robust hemp industry already booming in the United States, this seemed like a natural progression for cannabidiol, or CBD. After the Farm BIll passed, forward momentum on the law almost immediately crashed. One of the stipulations of the Farm Bill was a carefully devised regulatory system around the production and distribution of industrial hemp. This system was to be created by the Food and Drug Administration with input by the public, and approved by the head of the FDA as safe for the mainstream market. However, the Commissioner of the FDA, Scott Gottlieb, recently resigned, leaving the future of industrial hemp hanging in the balance, with no clear path forward. The Food and Drug Administration may have stalled in their efforts to regulate industrial hemp, but other regulatory agencies are taking the reins and charging ahead. 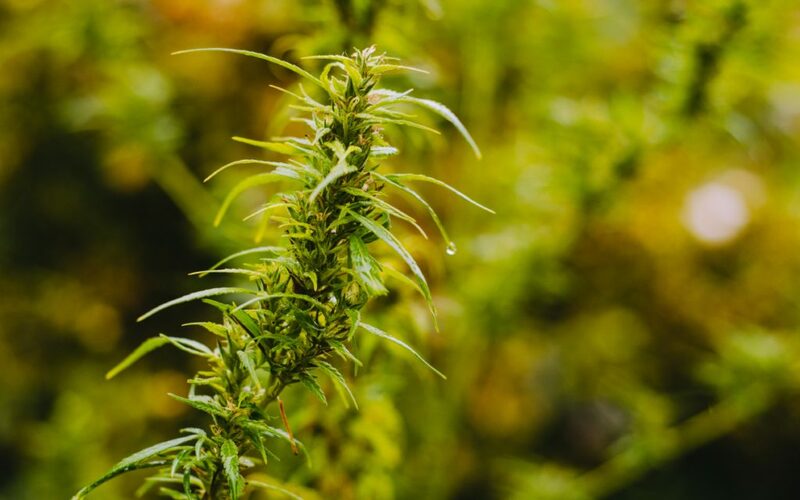 The USDA held an online public forum for stakeholders in the industrial hemp industry on March 13, 2019 to answer questions and take submissions for guidelines on how to regulate the hemp industry. Officials from seven states and some Native American reservations joined the feedback session, with a grand total of 3,000 people participating in total at the end of the three-hour session. Kentucky has had a robust hemp industry since the early days of the United States, but after the passage of the Agricultural Act of 2014 establishing a research program on hemp, Kentucky’s hemp industry has been booming, with no signs of stopping. Kentucky Agriculture Commissioner Ryan Quarles was one of the first state officials to submit regulatory framework to the USDA, and has been vocally supportive of the burgeoning industry, with good reason. In 2017, Kentucky licensed hemp processors reported $16.7 million in gross product sales, and received more than 1,000 applications to join the hemp pilot program. Tennessee’s Department of Agriculture has been eyeing hemp as a potential cash crop to replace long-held staples, such as tobacco. Tennessee offered their own guidance and concerns to the USDA for the upcoming hemp regulations, discussing issues such as seed procurement, pesticide usage, and banking obstacles, among others. Representatives from Colorado, Kansas, Missouri, North Dakota, as well as members of the Seneca Nation and an attorney for the Flandro Sanchi Sioux Tribe, among other sovereign native tribes contributed to the conversation on how best to regulate industrial hemp. The US Department of Agriculture published a statement on the Hemp Production Program at the end of February, announcing that the implementation of the rules and regulations are not scheduled to go into effect until the fall of 2019, in order to accommodate the 2020 hemp growing season. This was widely protested by multiple officials and tribal representatives. Those who are currently growing hemp legally under the 2014 Farm Bill as part of state-regulated hemp pilot programs are allowed to continue cultivating without waiting for USDA-approved regulations, but with thousands of license applications in the pipeline for multiple states and jurisdictions, a delay in implementing regulations will force potential hemp farmers to miss out on the 2019 harvest, and, ultimately, millions of dollars in revenue.